I spent a beautiful summer evening hiking Gibraltar Rock State Natural Area with Holly & Gregg last week. These two have known each other since 7th grade (!) 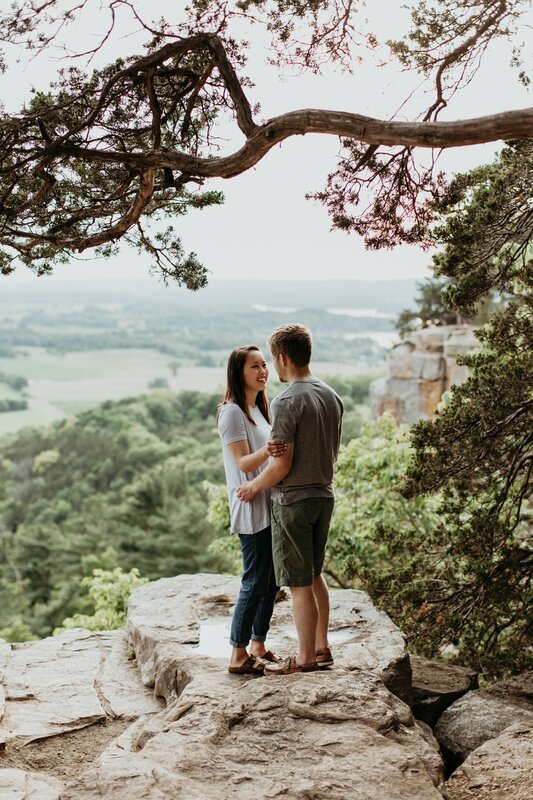 and used to hike this exact trail together all the time growing up, so it was a perfect spot to return to for their engagement session. 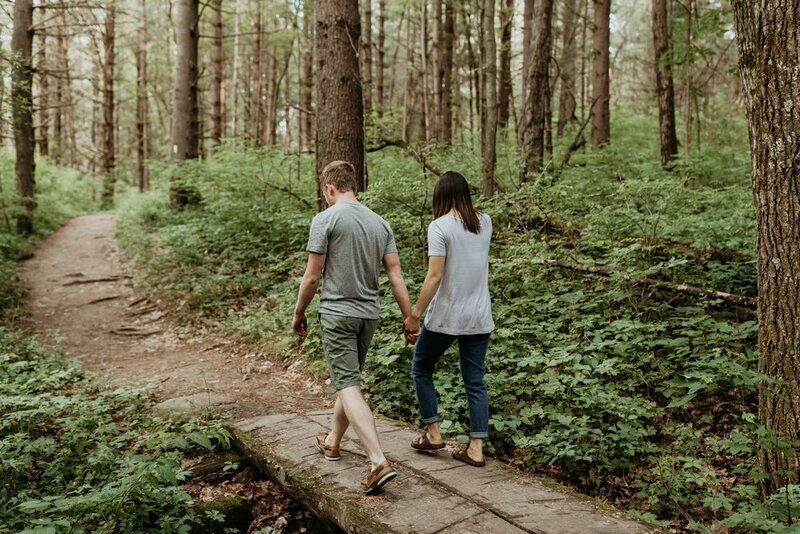 Not to mention, Holly and Gregg are all about the outdoors, likely found taking camping trips to explore a new state park, going fishing, or spending an afternoon kayaking - really anything that will get them outside enjoying the fresh air. 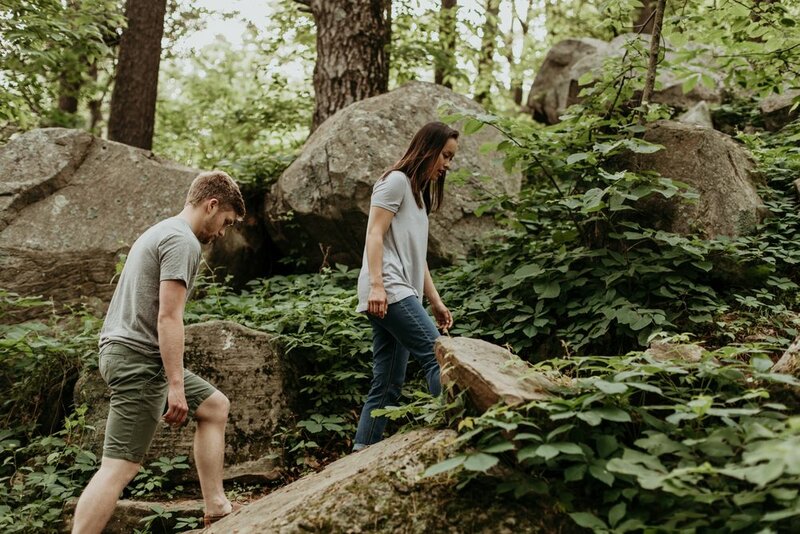 So, why not get a solid hike in while taking photos? I'm so excited to document these longtime lovebirds when they tie the knot at The Lageret in Stoughton next year!